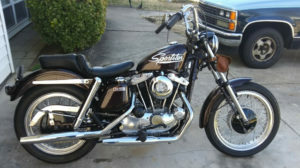 build a great looking bike for as little as possible..lots of swap meet and Ebay parts..i paid 1500 at a yard sale and sold everything except the frame,forks and engine..i sold everything off the bike for more than the initial yard sale price! 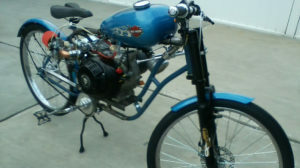 my attention to detail,i tried to do everything perfect! 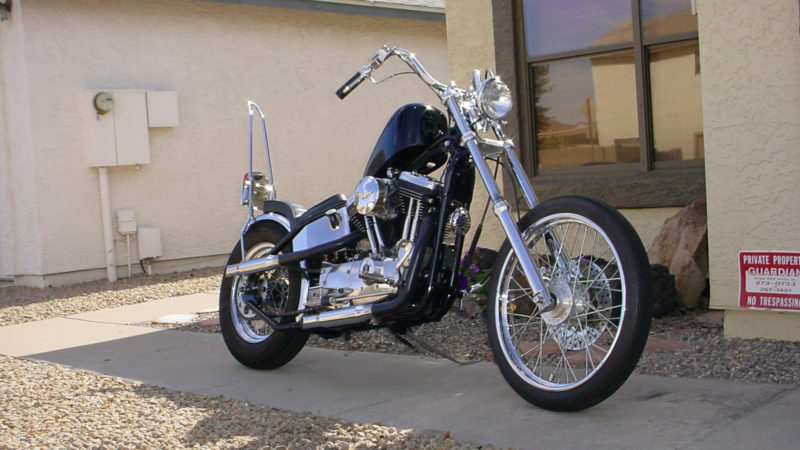 at least my perfect anyway…and the fact that i was able to get lots of expensive high quality parts for pennies on the dollar at swap meets..
most people like it,,today most interest is on big front tire baggers! 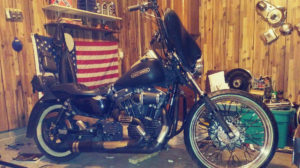 Intake: stock cv carb with internals from CVP.modified swap meet old shovelhead accessory air cleaner.. 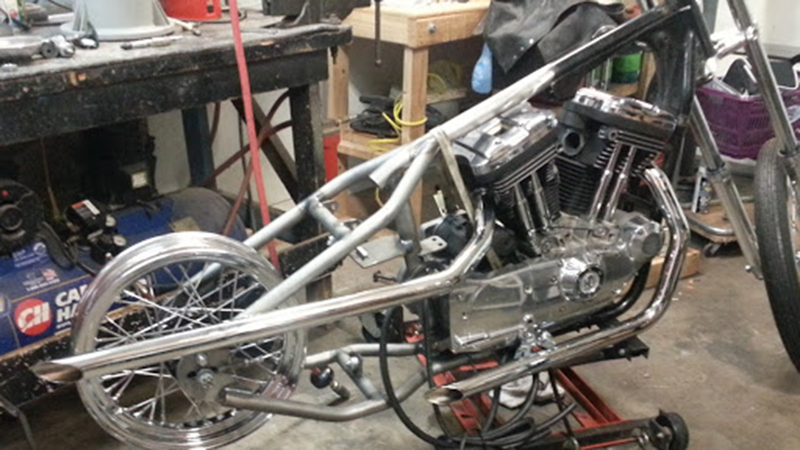 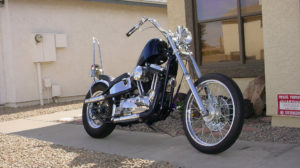 Suspension: +4 tubes,stock Harley lowers that were shaved by Haifley Brothers and polished by me.. 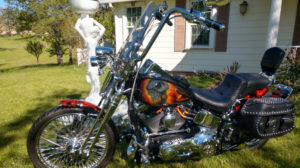 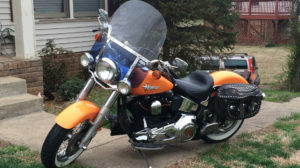 Wheels, tires and brakes: stock 21" harley Front wheel from swap meet,new bearings from Side Show Cycles with Avon Speedmaster,rear stock Harley from swap meet 16" with Shinko Classic tire..new chrome caliper from swap meet,new rear Harley caliper.swap meet rotors.. 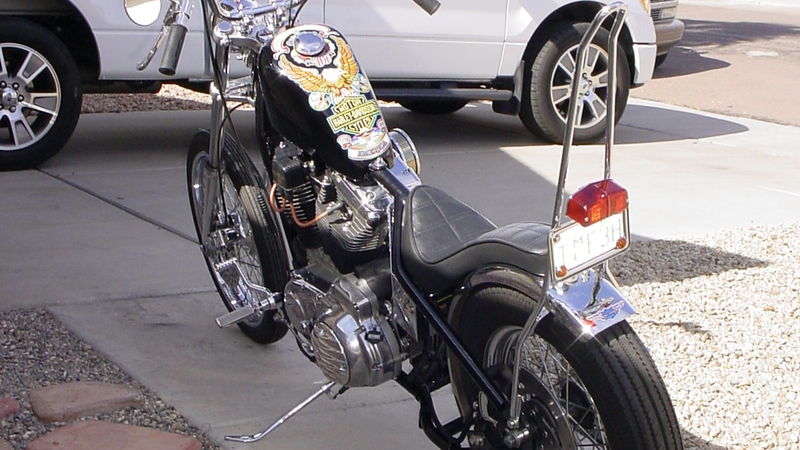 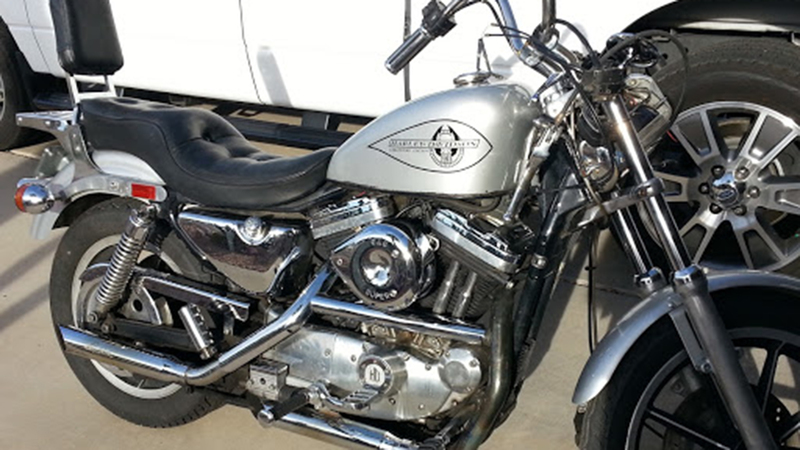 Finish - Paint: Affordable Powder Coat in Phoenix did the Frame..paint on the Throttle Addiction tank done by Restoration Station in Reno Nevada. 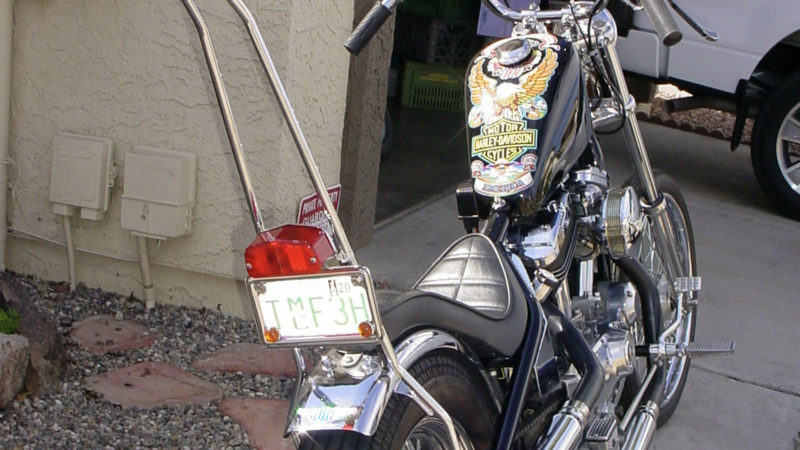 ( my brothers shop)..chrome work from Diversified Metal in Phoenix.